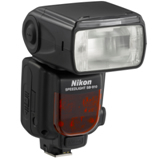 TOKYO - Nikon Corporation is pleased to announce the release of the Speedlight SB-910, the new high-end Nikon Speedlight. The SB-910 is a high-end Speedlight for advanced amateur to professional photographers that offers a number of improvements over its predecessor, the Nikon Speedlight SB-900. Among these improvements are smoother operation, greater illumination precision, and the adoption of hard color filters. The SB-910 fully supports the creative photography of advanced amateurs to professionals who demand the ability to make the most of light to achieve their individual intent. Users can now quickly access custom settings using the new MENU button. In addition, the graphical user interface (GUI) has been improved to offer simpler application of settings for all operations. The SB-910 offers selection from three illumination patterns (standard, even, center-weighted), allowing users to choose the pattern most appropriate for the scene. Illumination precision has also been increased. The SB-910 supports hard color filters because they are more durable, stand up better to the heat generated by the flash head, and are easier to use than the gel color filters supported by its predecessor. One incandescent filter and one fluorescent filter are supplied with the SB-910.